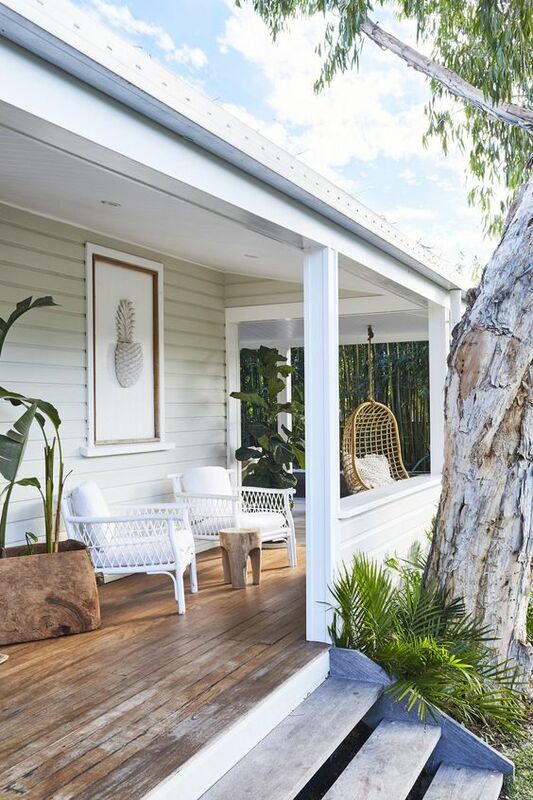 If you have a kind of patio, a pool, or a porch, you may want to check this post as your guide for creating a warm welcome. Do not miss these brilliant ideas below. No matter how much time will you spend, there are many ways to create your own space which may be beautiful, practical and even entertaining as well. 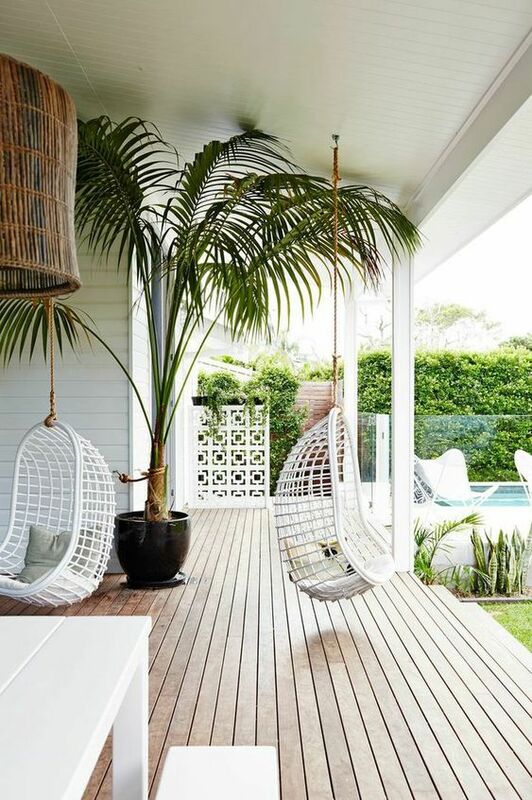 It is not important if you only have small or a huge outdoor space, you can freely unite these ideas with your own style and creativity. Privacy is the most important thing in our daily routine. Sometimes it can be difficult to have a spot to live your own life. 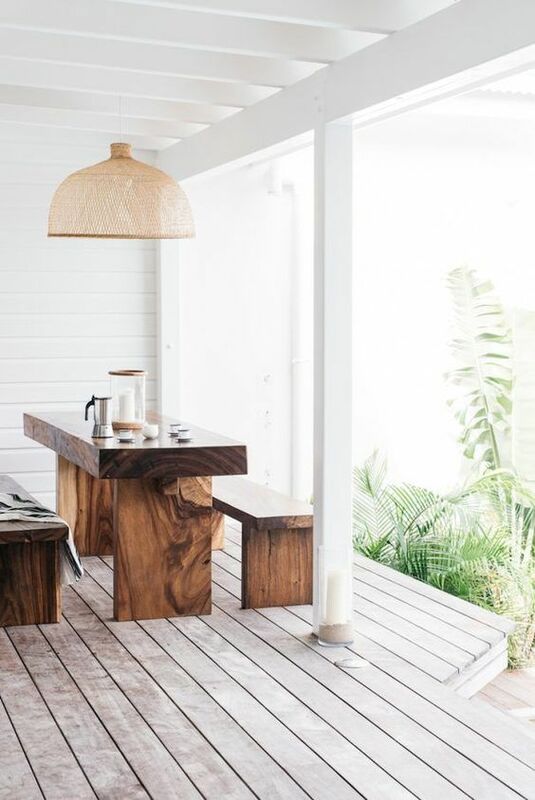 Wooden tiles and decorations may offer you with a space for an outdoor kitchen. Simple chair can also solve your problem and help you to add a feeling of comfort while enjoying the view around your perfect house. You can go with different color options if you do not prefer white. You can place your deck with the comfortable sofa near the poolside which is directly pointed to the pool’s view. 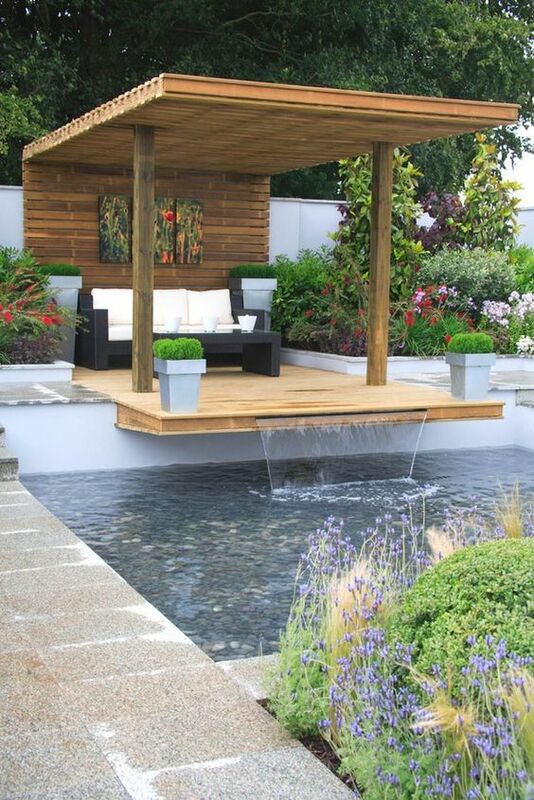 This would be a great way to enjoy your time and calm down with water flowing sound. If you have a spacious living area in your deck, you can use this opportunity by placing sofas, coffee tables, dining tables and couches in there. This gives you a rustic scene and it makes you have an outdoor living room. This option can help you to rest your mind and collect your attention. 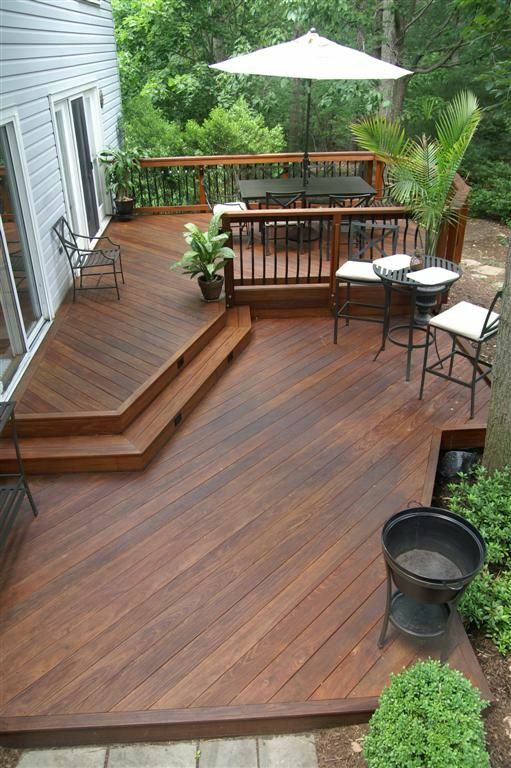 This type of deck is very popular and it easy to adopt. Not much cost is required for a spot like this. It is really easy to create your outdoor spot with a minimum cost. 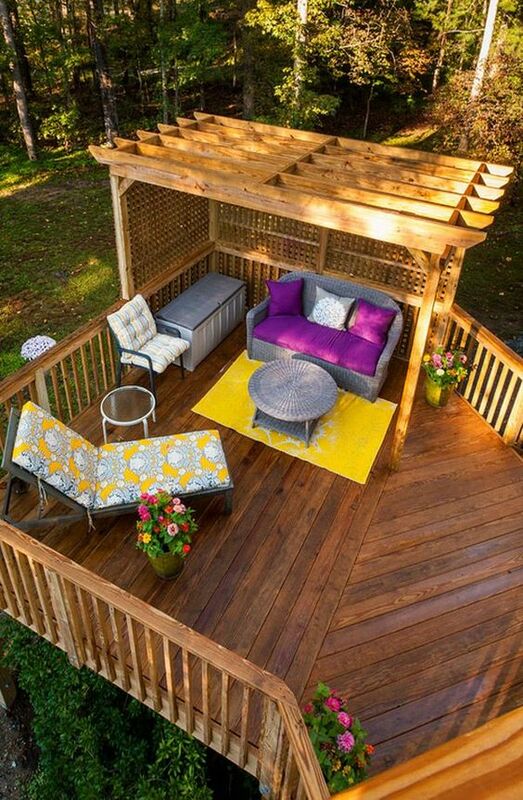 You can recycle unused or spare woods to present your own style on your deck. If you are looking for two different sections in your deck, you can divide it into two different sections. 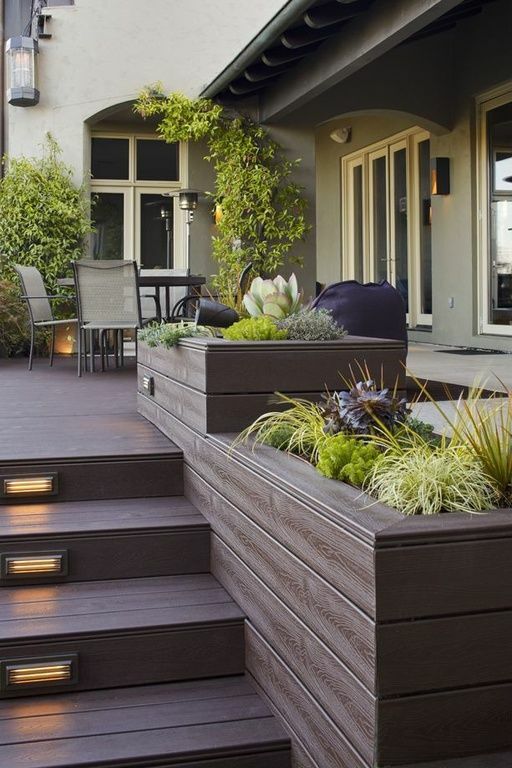 By doing this, you can both benefit from the sunlight and have a shadow in your deck. There are also different choices for those who are looking for a modern outdoor living area. It is very simple to do this. What you only need to do is placing a table in front of your house. Just try to catch the tone of modern design of your house. 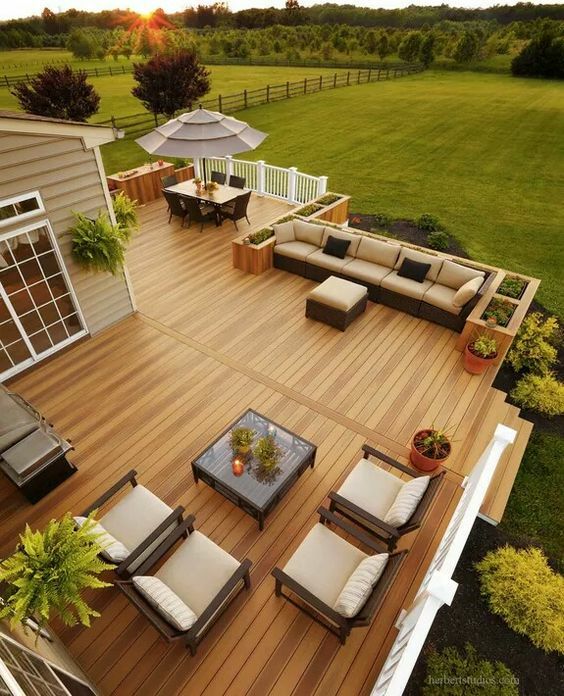 This is another brilliant idea for your deck. 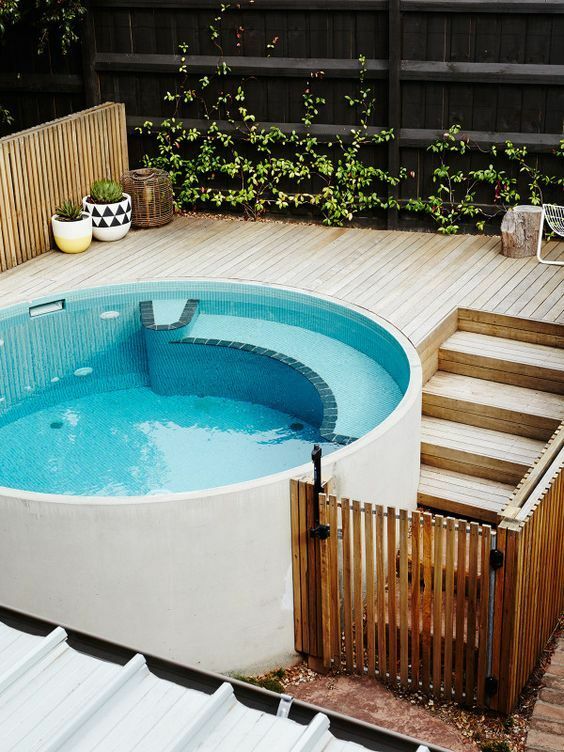 A mini pool in your deck can really help you have a spot to let your hair down. If you are looking for a natural spot, you can go for this choice. It does not necessitate any complicated process and it gives you calming moments in a perfect natural living area. This is another way to design your deck. Connected living spaces have been more widely used in the recent times. 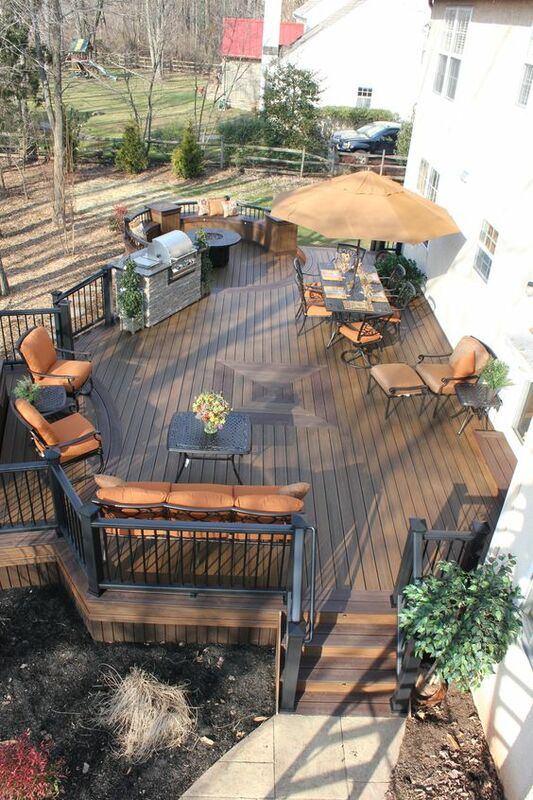 Therefore, when you design your deck or patio, you can combine your indoor and outdoor spaces. 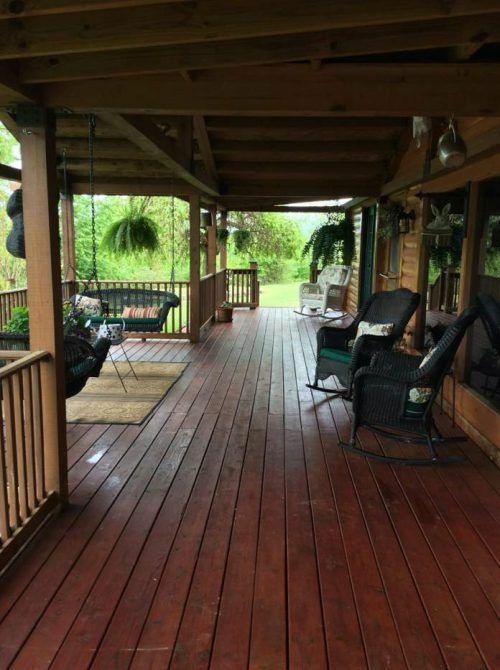 If you do not want to make a detailed work on your deck, you can go for this choice and only place two humble sofas with a coffee table in your deck. An intense brown deck puts you in a different mood. It offers you darker living area which make you to get deeper inside the forest. Incredible harmony of green and brown intensify the feeling of being in a forest. If you want to do this, you can use more natural tones of wood and furnitures. If you are more like a night person, you can concentrate on enlightening and decorate your deck with colorful lights. You can use flowers in different colors to have more relaxing moments in your outdoor space. There are also different designing choices for small areas. If this is what your are looking for, you can take a look at the following picture. 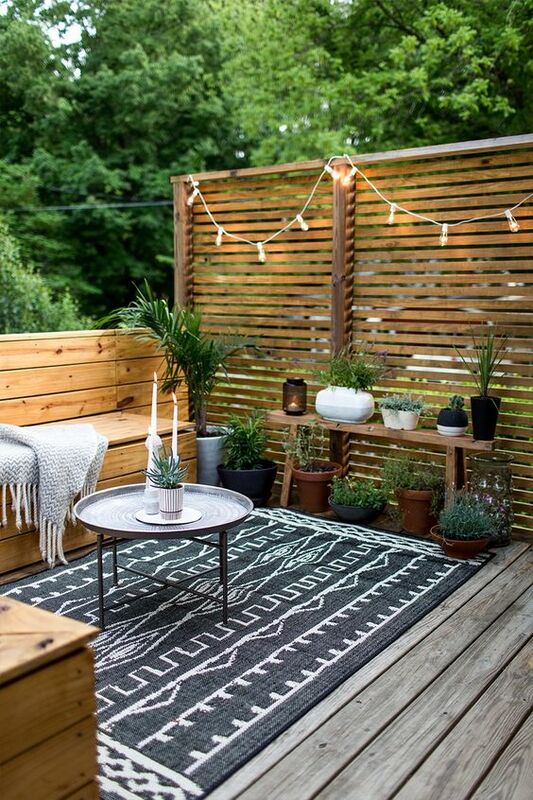 You can use your space to have a cozy living outdoor area. 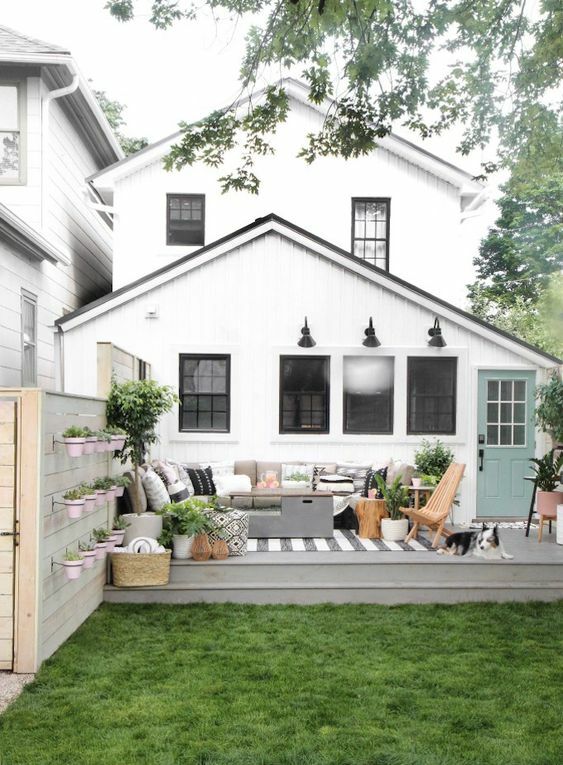 Just decorate your deck with colorful sofas with some gray tone.